We recently had Air Force in for a new a/c install. We had met with multiple companies before making a decision and we're happy we chose this company. Everyone we dealt with from the initial quote to the install were great. They made everything easy for us to understand which certainly was not the case with all the companies we met with. The guys even helped fixed a few minor non A/C related issues we had with the HVAC in our house which we really appreciated, and they happily explained everything they were doing along the way. The wild range of quotes we received from the various companies left us feeling quite uneasy in pulling the trigger on this, but the team from Air Force really did a great job with both the install itself and putting any concerns we had to rest with a great warranty, exceptional service and very professional team. Orazio and Tora Concrete - Exactly how a project should go! We feel lucky to have found Orazio and Tora Concrete. Orazio is a true craftsman and professional, and we couldn't be happier with the result. After a very long and drawn out fight with the builder of our house who did an awful job in the front (and really left us in a bad spot), it was so nice to deal with a company like Tora. Orazio and his crew did exactly what they said they would do, when they said they would do it, and for the exact price quoted. It was an easy process dealing with Orazio. 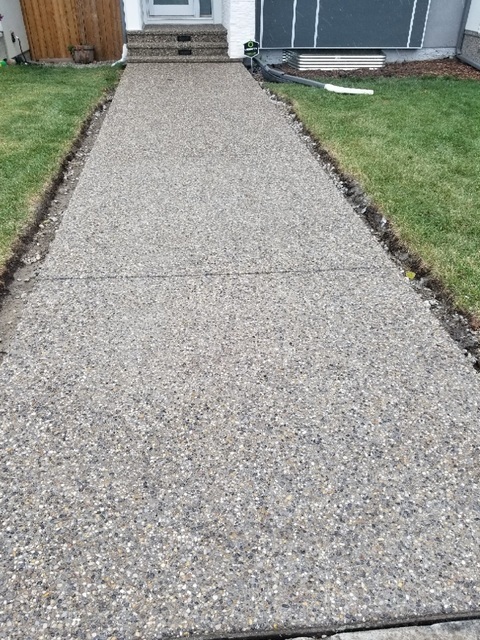 I sent in an email request for a quote along with some photos of the walkway we needed replaced. Orazio came that same night and I had the detailed estimate before I went to bed that day. Everything else from taking out the old walkway to putting in the new one was just as seamless. Even when we ran into some bad weather that delayed things a bit, Orazio came by the house just to reassure us that everything would be underway again as soon as the skies cleared, and they were....as promised. The whole crew with Tora was great and they left the work site spotless each day. The new walkway even matches the colour and texture of the front steps so well (which the old walkway did not) it's hard to imagine they were done at separate times. Orazio had a great idea about getting rid of an extra step which we didn't need and widening the walkway to match the stairs...... and we are glad we listened to him. I've attached a before and after set of photos. Yes - in the first picture of the old walkway, that is a giant piece of concrete the builder broke off the side, a giant crack between the walkway and landing, and finally .....yes - those are pieces of wood the builder used to try and level the concrete slabs (which are clearly two different colours). In the second picture Orazio's work speaks for itself and I would not hesitate to recommend him and Tora Concrete to anyone that asks. Tyler, thank you so much for your detailed review. We really appreciate the time and effort it took for you to write it. And thank you for following my advice - it's always so nice when your clients trust your experience. We recently hired Super Powers to move us from our condo into a house. Gord and Yves showed up exactly on schedule a took a moment to take stock of everything we had to move and the best plan of action. A little forethought went a long way as after they mapped out what to move first they took time to carefully wrap everything to avoid any damage. It was very reassuring to see them put so much thought into the move instead of just grabbing stuff and jamming it into the moving elevator, and it paid off in the end. On the other side everything was moved into our new house as carefully as before and in perfect condition. We recently hired 20/20 Master Home Inspections to do the inspection on our new house. Lucas and Sebastian were absolutely fantastic. As a homebuilder himself Lucas has a relentless eye for detail and craftsmanship. They were extremely thorough not only in terms of items they brought to our attention but in ensuring my fiancee and I understood everything they were pointing out. As first time home buyers I cannot express how comforting it was to have Lucas and Sebastian take the time to review everything they found in such a way we didn't have to be builders ourselves to understand them. That level of care flowed through into the report we were promptly provided which like the inspection itself was thorough, concise and extremely easy for us to follow with lots photos and notes, as well as tips on how to keep your home running smoothly. Their detailed report made it easy for us to approach our builder and we were able to get them to address all of the items Lucas and Sebastian had identified. 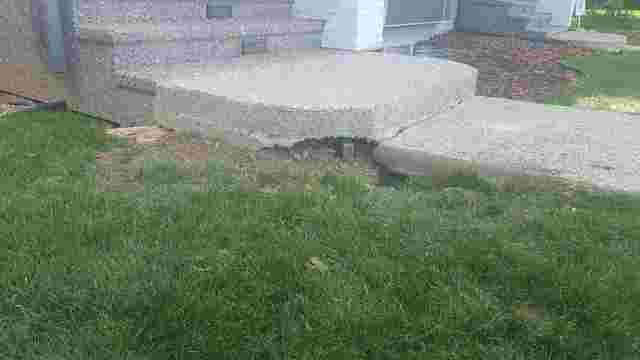 Lucas and Sebastian are direct and unapologetic about how detailed they are while inspecting your home. But that's exactly why we felt so comfortable in proceeding with the purchase.